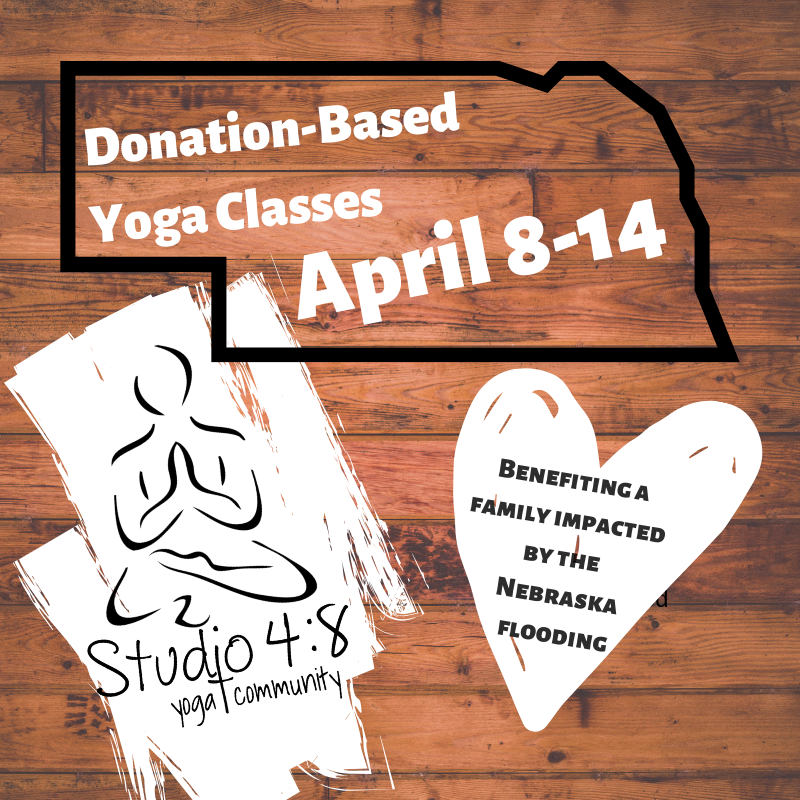 April 8-14 ALL classes at Studio 4:8 Yoga will be donation based and open to the public. Donations will benefit a family impacted by the Nebraska flooding. Our students nominated several families and in a random drawing, Ed and Nancy Leeper were chosen. Please arrive 10 minutes early to class to ensure a spot and fill out a waiver form if you’ve never attended.